Unless it's carefully and meticulously managed, print production is an industry that can create significant adverse environmental effects. At B&B PRESS, we believe it is our responsibility to do everything we possibly can to minimise effects on the environment. We're firmly committed to driving down all harmful output through the setting of regular benchmarks. We closely monitor and sustain a low environmental impact, and we're proud to be an environmentally friendly organisation. Be Brilliant! 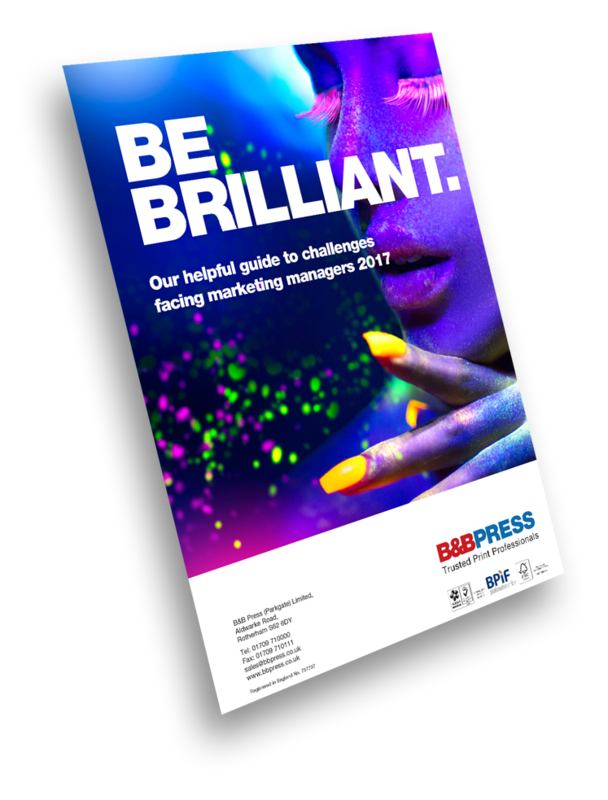 Learn about the most common marketing challenges - and how to beat them - in this FREE eBook that we think will help you to Be Brilliant.